Welcome to the Bonnechere Museum in Eganville Ontario! Bonnechere Museum, also known as the Ordovician Fossil Capital of Canada, presents both the natural and cultural history of life as it developed along the Bonnechere River. A live museum aspires to encompass a whole community, not just a building or a single artifact theme. In its efforts to promote heritage tourism, cultural tourism, and cultural landscapes, Bonnechere Museum recognizes that the Bonnechere Valley has three primary natural symbols or totems: rocks, trees, and waters. Our history is truly Written in stone - Carved in wood - Silvered in water. Ordovician fossils are found within the outliers of limestone along the Bonnechere River. 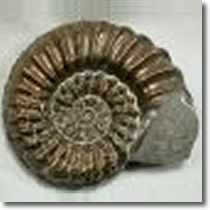 Bonnechere Museum sponsors fossil education and fossil hunting. Visitors of all ages participate in demonstrations, walkabouts and site explorations. 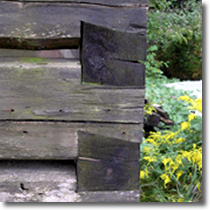 Since the great pineries of the Bonnechere Valley supplied wood to England and to United States, the following words express a short history of the area: square timber, lumber, pulp. Transporting timber by water gradually was replaced by rail and then truck. Much of the economy of the region is still dependent on wood products from second and third growth forests. Algonquin Park's dome is the source of seven rivers which feed streams, lakes, wetlands and aquifers, creating a recreational, accessible, natural wild. The Bonnechere Valley is close to Algonquin Park, the Ottawa River, and the city of Ottawa, Canada's Capital - all well-known international tourist destinations. 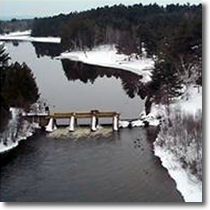 The lakes and waterways have become destinations for recreation including fishing, boating, and cottage life, along with an increasing interest in the production of electrical energy. The museum is located at 85 Bonnechere Street, in Eganville, at the junction of Highways 41 and 60.